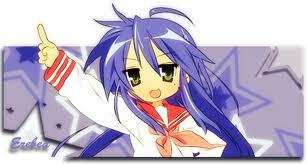 Konata is ready for school! What? No, Zed's the human, Mike's the half-orc. Team Magma and Aqua? Co-operating?! Your friend is standing by you right? The sonic fan one? Two young ladies wearing kimonos. This is a comment on Rukiafan's signature because Super Otaku ninjad me ( ) and I want to share it because I worked so hard on it! POKEMON! GOTTA CATCH ONLY THE ONES YOU'D LIKE TO ADD TO YOUR TEAM! ...I know it's my des-ti-ny! ...in a world we must defend! ...our courage will pull us through! GOTTA CATCH ONLY THE ONES YOU'D LIKE TO ADD TO YOUR TEAM! Otaku1's avatar still hasn't been updated by Rukiafan. From his one true love. That's not me, it's Rukiafan.